ADULT OPEN GYM DROP IN CLASSES EVERY FRIDAY FROM 8:00 - 9:00 P.M.
Our adult class is structured around an "open gym" concept where anyone can come and learn at their own pace. The motivating environment makes it easy for anyone to try gymnastics without the pressure and stress that could be caused by a "class" setting. Adult/Open Gym is open to anyone over the age of 14 and takes place every Friday 8:00pm-9:00pm. Fee is $10.00 per class. Pre-registration prior to start of class required. Annual Gymnastics Ontario Insurance Fee of $32.00 will apply. Valid July 1, 2018 - June 30, 2019. Office will only remain open for the 1st 15 minutes of class. Please arrive before then. There is always a qualified Coach on hand to help you learn any gymnastics skills, drills, conditioning, flexibility, you feel you need to work on. All youth grades 1 to 8 are welcome to drop into TBGA. Qualified Coaches are here to supervise and help with any skills you want to work on. No experience necessary. $12.00 per class. Gymnastics Ontario Insurance Fee of $32.00 will apply on first visit. Perfect for dancers, cheerleaders, and gymnasts who want to get a heads up on their skills or improve their strength and flexibility. 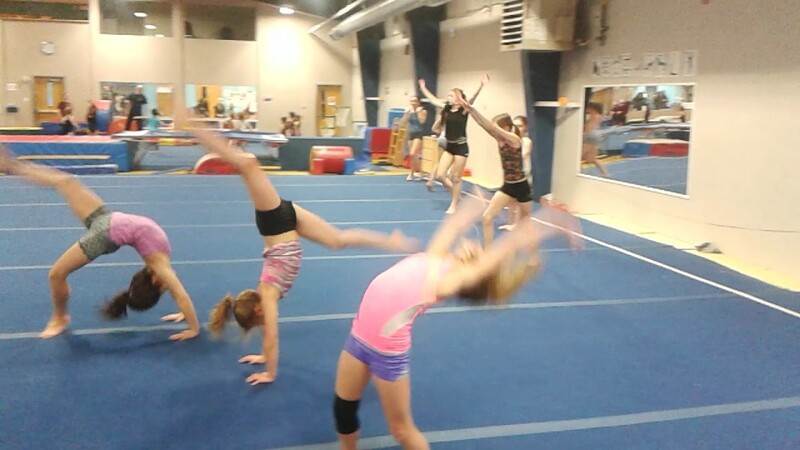 Learn skills like walkovers, tucks, handsprings, and more! Adaptive Gymnastics - Classes during our off Peak Hours for children with Special Needs lead by one of our NCCP Certified Gymnastics Instructors who has experience as both a Child Youth Care Practicioner and a Personal Support Work as well as educated in Cognitive Behavioral Therapy. Home School Gymnastics - Gymnastics Classes for the Home Schoolers in our Thunder Bay Community! If you have a group of children that would like to meet regularly in an afternoon, let us know and we can organize that for you! HAVE AN IDEA FOR A CLASS? Share it with us!